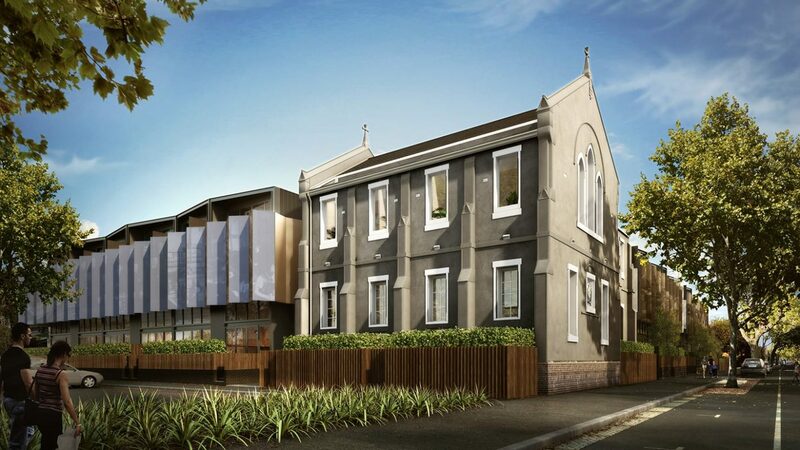 In 1893 St Joseph’s school in Nicholson Street opened its doors to 400 boys, later becoming St Joseph’s Technical College providing inner-city technical education until 1990. 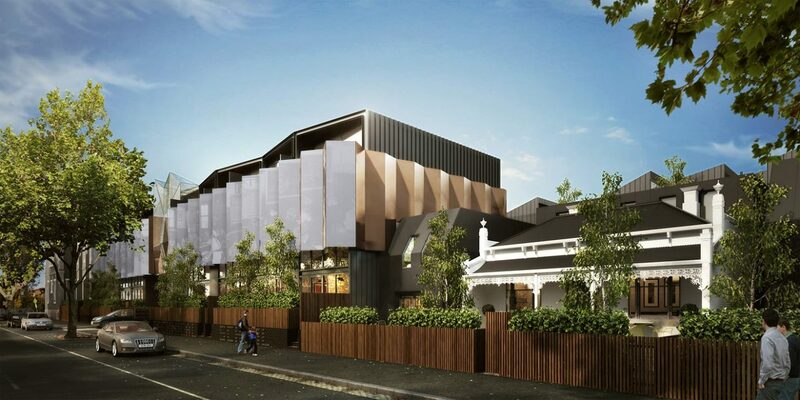 It was then home to the Sophia Mundi Steiner Primary School until 2012 when the building started to be used as creative studios. 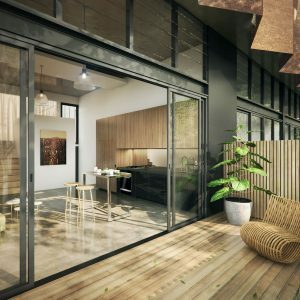 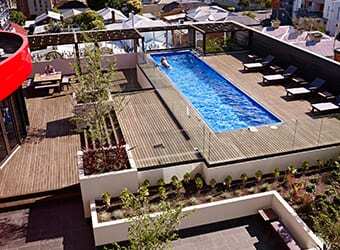 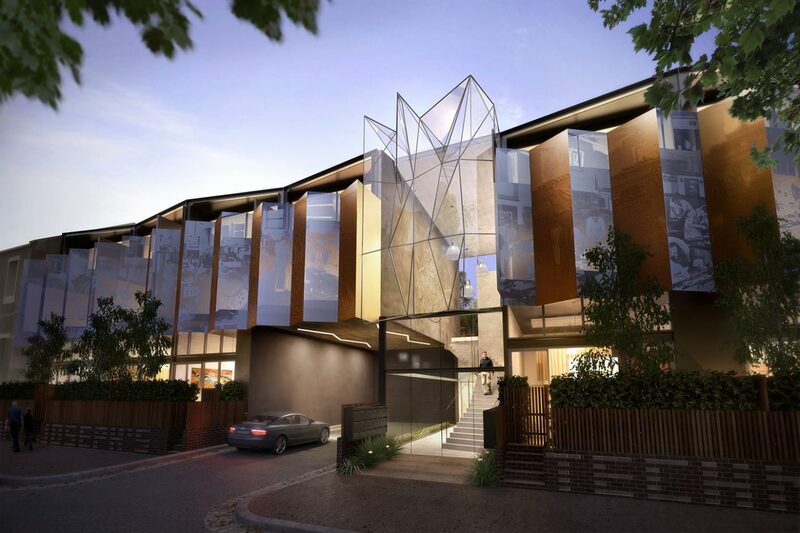 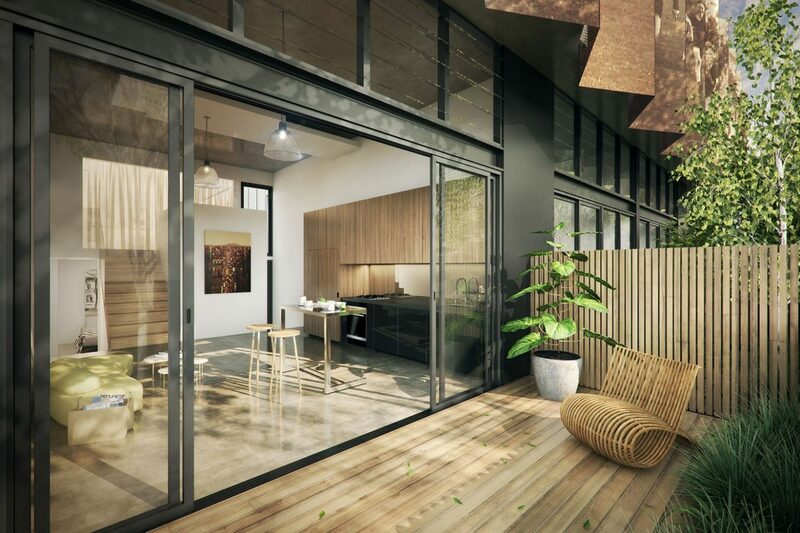 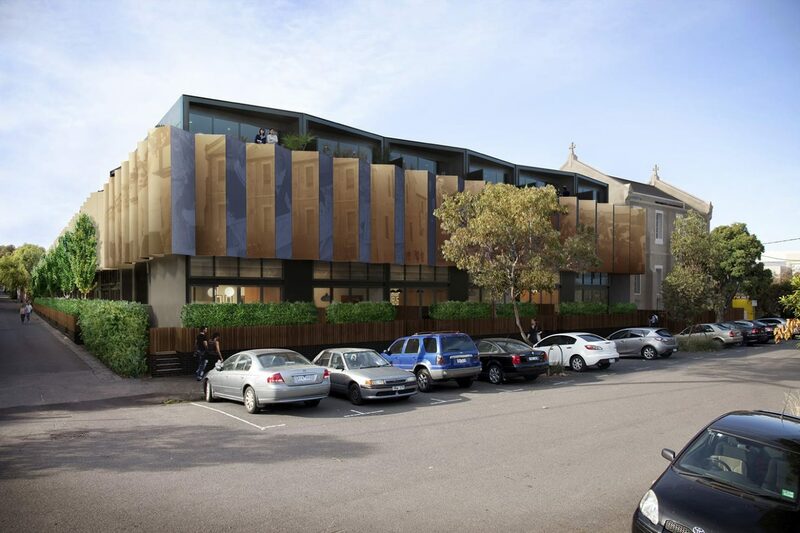 Domain Hill Property Group purchased the site in 2011 and set to work with architect KUD Architects to prepare designs for innovative architectural treatment of the historic property, featuring terrace and warehouse-style medium density living. 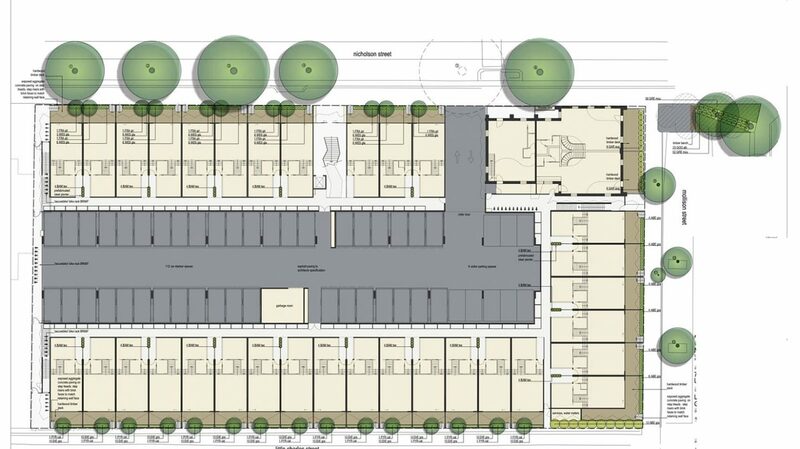 Hansen Partnership’s urban design and landscape architecture teams were engaged to prepare an urban design context report and landscape plan to accompany the application for a planning permit for the redevelopment, known as ‘St Joseph’. 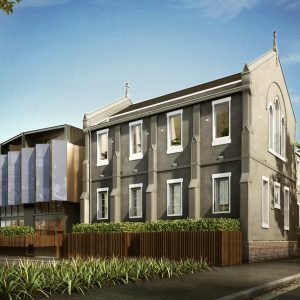 The site included a number of buildings of varying age and historical relevance, including the original 1893 St Joseph’s Primary School building on the corner of Nicholson and Mollison Streets. 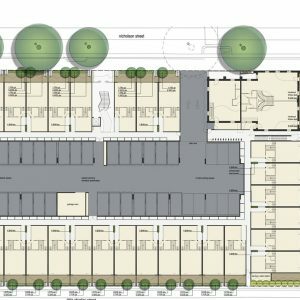 The proposal sought to develop 80 dwellings on the site, across three storeys incorporating new and restored buildings. 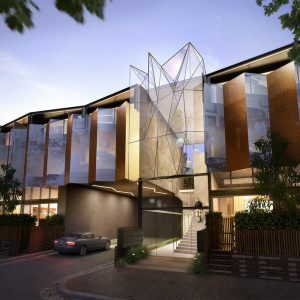 Hansen worked closely with KUD to express the unique qualities of the design and integrate the design proposal in the Abbotsford context. 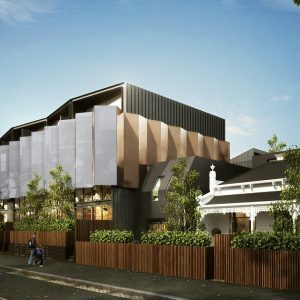 The proposal sought to accommodate car parking within the shell of the proposal and to engage the public realm with outward facing courtyards and direct access to townhouses from the street. 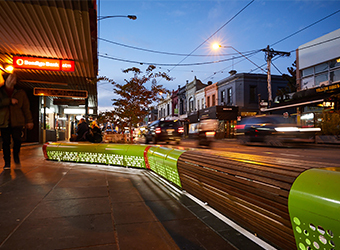 The use of photo imagery integrated into the upper level skin forms a dynamic street edge to further engage the public with the architecture and site’s long history as an educational facility. 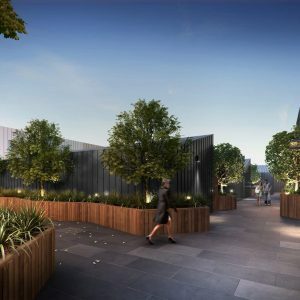 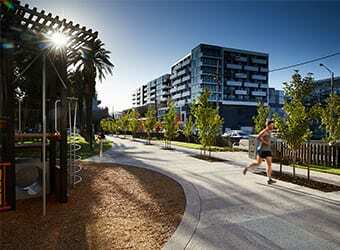 Hansen’s landscape team designed the private courtyards and soft landscaping of the proposal, creating a high quality landscape interface that contributed to the streetscape quality and wider precinct public realm. 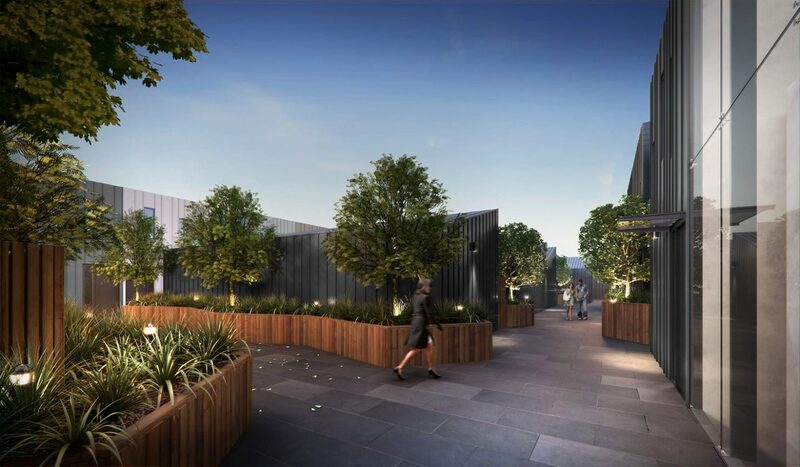 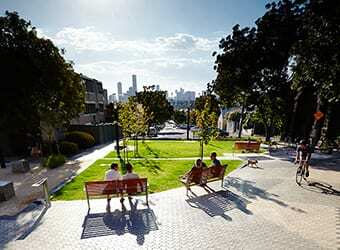 The landscape plan ensured private and public areas within the development incorporated vegetation at varying scales, including small and medium trees, planter boxes and integrated hardscape elements.